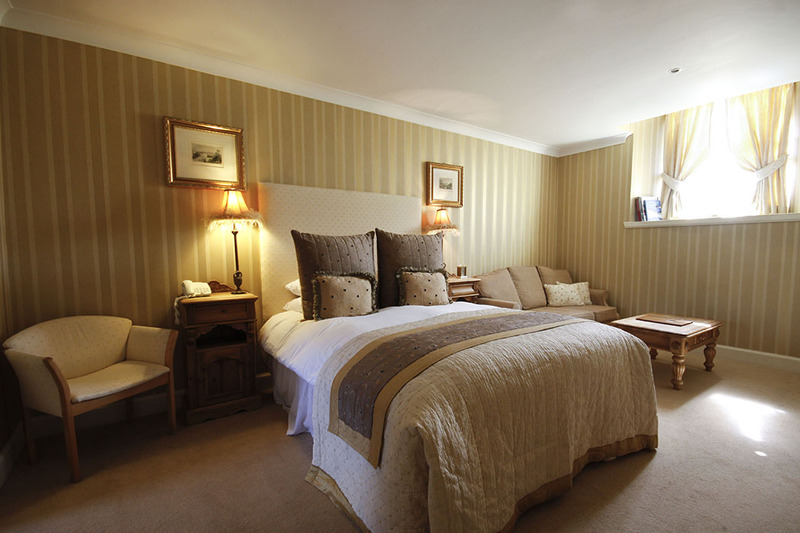 The Horseshoe Restaurant with Rooms is an inimitable award-winning restaurant with rooms in the village of Eddleston just to the north of Peebles in the Scottish Borders and a short drive from Edinburgh Airport. Guests to this charming establishment are welcomed in with a warm, personal service. The Horseshoe is just 12 miles from Roslin Chapel, made famous in Dan Brown’s novel The Da Vinci Code, but a tourist attraction in its own right since the rein of Queen Victoria. Scotland’s premier mountain biking destination at 7Stanes Glentress is just a short fifteen minutes from the Horseshoe. It draws 400,000 visitors a year. The philosophy of the Horseshoe Restaurant with Rooms is to provide a fine dining experience for a small number of guests, served in luxurious surroundings without gimmickry. Head Chef Alistair Craig scours the Scottish Borders for the best possible food suppliers. As the restaurant is small they can welcome kitchen doorstep deliveries by local growers of first-rate market garden produce. 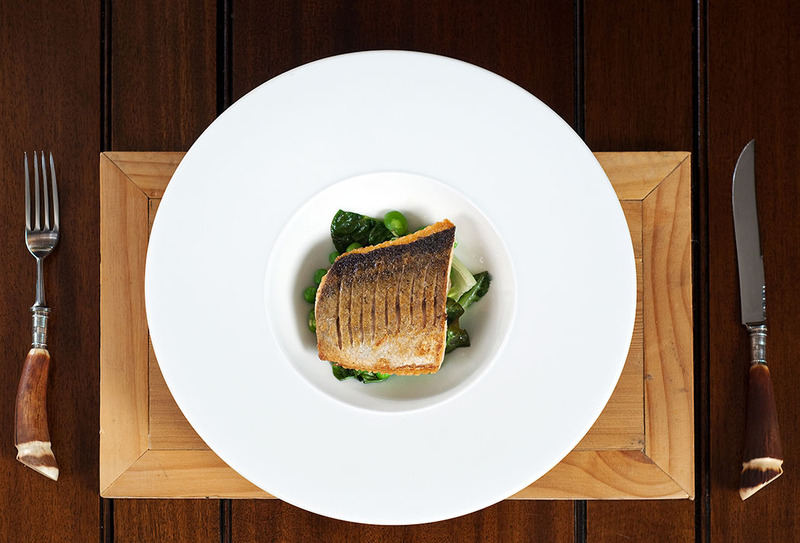 The menus are written daily and showcase the best in local, seasonal produce along with ingredients from The Horseshoe Restaurant’s own kitchen garden with freshly grown artichokes, beetroots, cauliflowers, courgettes, horseradish, pak choi, wasabi, dwarf beans, radishes, samphire, seakale and cardoon. The restaurant purchase the finest Borders beef from Shaws Fine Meats at Lauder, use the Ettrick Valley Smokehouse for their smoked salmon and source most of their fish from George Campbell. The extensive wine list is arranged by grape variety and numbers around two hundred and fifty wines, with the opportunity to taste more than forty different grape varieties. There are over thirty-five organic and bio-dynamic wines, eleven different dessert wines and fifteen wines by the glass. The bar in the lounge is brimming with a selection of Single Malt Whiskies, Scottish Gins and local micro-brewery ales. The Horseshoe was originally built in the 1830s as a Victorian village school-house. The two cottages of which the Horseshoe comprises were built in 1862. The rooms in the old school-house are rated 4 Gold Stars by the AA Guide; though modest in size they all have en-suite showers, bathrobes, organic toiletries, mineral water, tea and coffee-making trays with fresh milk, fresh fruit and crucially tasty homemade cake. The Horseshoe has one Premier room (room 5) that carries a £25 room supplement. 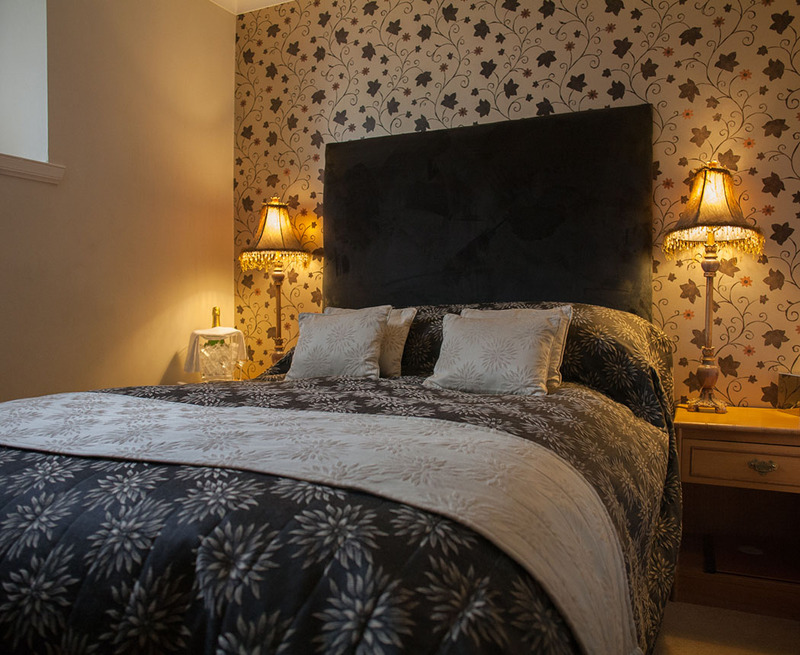 This room rather than having an en-suite shower has an en-suite bath with shower over and a slightly larger bedroom. The intimate restaurant is furnished with candle-lit antique polished wood tables and striking original works of modern art on the walls. It is complimented by a charming lounge with luxurious sofas, chesterfields and a wood burning stove. 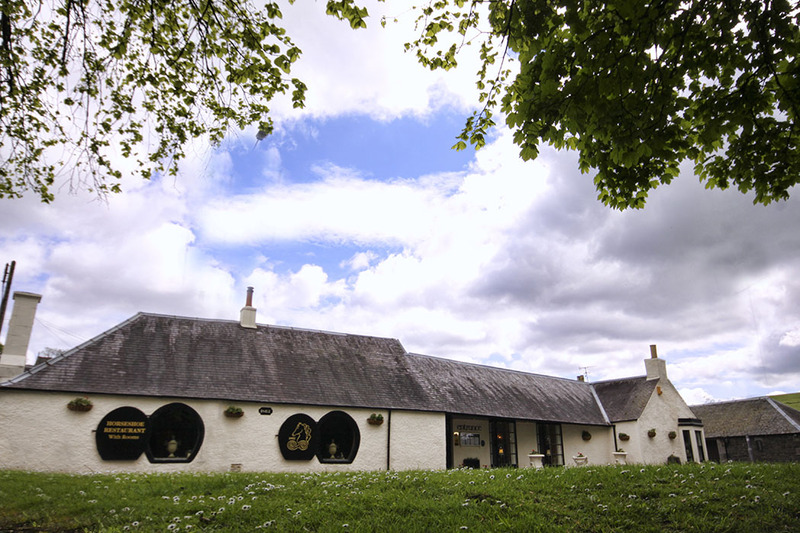 The Horseshoe is the perfect destination for those looking to discover The Scottish Borders. The area is perfect for those interested in walking, cycling or discovering the area by car. It is a popular spot for couples and of course, if you have an interest in fine-dining and wine, the Horseshoe Restaurant with Rooms will satisfy your taste buds with its passion for good foods.